The boys of SHINee have returned for another comeback stage with “Dream Girl“! After previously performing two comeback stages, and winning the hearts of many Shawols, SHINee continues promotions during today’s episode of ‘Music Core’. During the broadcast, the boys performed both “Beautiful” and “Dream Girl”, which can be viewed below. 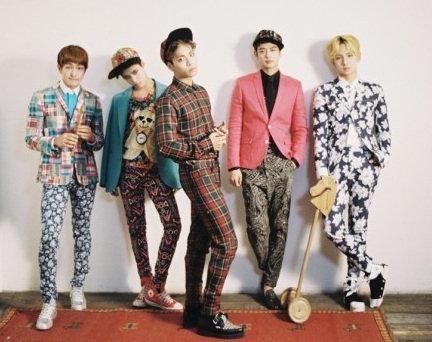 Would any of our readers like to be SHINee’s ‘dream girl’? Let us know in the comment section!